Editor’s Note: This post has been amplify’d from Oceana’s blog. This is a brilliant project and I encourage you all to vote! A group of hook-and-line fishermen in Nova Scotia are helping change the face of fishing, and we think you should know about them. Perhaps you’re familiar with the CSA model, or Community Supported Agriculture, in which subscribers pay for weekly shares of a farm’s produce. 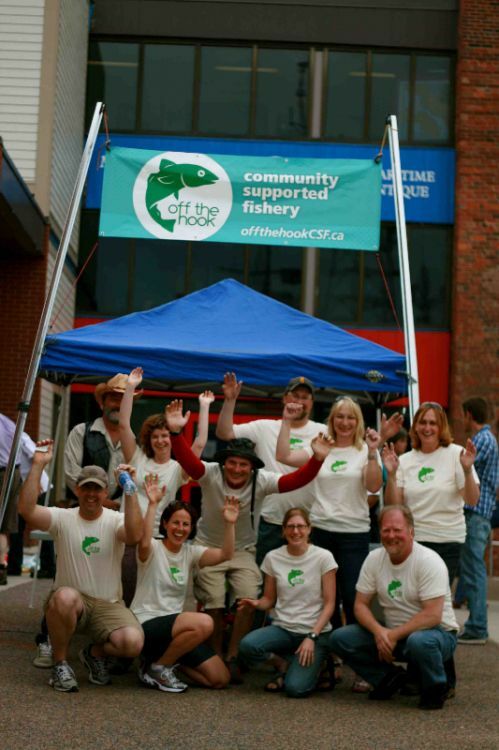 Off the Hook is a Community Supported Fishery using this model with fish, connecting a co-operative of small-scale fishermen from the Bay of Fundy to subscribers in and around Halifax, Nova Scotia. Customers receive weekly shares of the co-op’s catch of fresh whole haddock and hake. The benefits? Community Supported Fisheries like Off the Hook provide more family income, more market choices, and increased ownership and control. Subscribers get better access to the freshest local, sustainable fish along with a better connection to local fishing communities and the ocean. It’s a win-win. Off the Hook has been named a finalist in a global competition being held by National Geographic called “Turning the Tide on Coastal Fisheries”. The contest aims to find community supported projects that provide innovative solutions to overfishing. Off the Hook was the only project in North America to make it to the top 10 out of more than 100 entries from 48 countries. The last phase of the contest is an online vote that ends Dec 24. If Off the Hook makes it to the top three, they will be flown down to DC to meet with key stakeholders in international fisheries management and marine conservation. The winner receives a $20,000 grant, and National Geographic will produce a video that features their project. Vote for Off the Hook and spread the word about Community Supported Fisheries! Fantastic! Lets get a project like this started on the east coast.